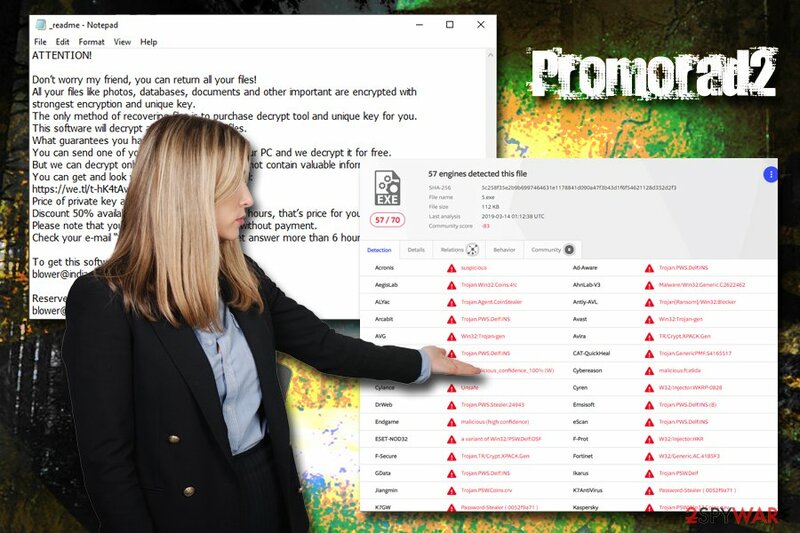 Promorad2 ransomware is a file locking malware that was first spotted in early March 2019 attacking mainly Brazilian users. This variant of STOP/Djvu ransomware is almost identical to its predecessor – .promorad file virus, which also uses AES encryption algorithm to lock up files and drops a ransom note _readme.txt to inform users about the infection and what should they do next. Allegedly, Promorad2 virus authors ask for $980 in Bitcoin for the file decryptor and also tell users to contact them via blower@india.com or blower@firemail.cc. However, this version of the file locker is decryptable so that victims can retrieve their data for free. Unfortunately, Promorad2 is known to distribute AZORult simultaneously, so users who got infected are required to take extra steps in order to ensure the security of their personal information. Infection means Most likely cracked software installers, but can also spread via spam emails, fake updates, brute-force attacks, etc. 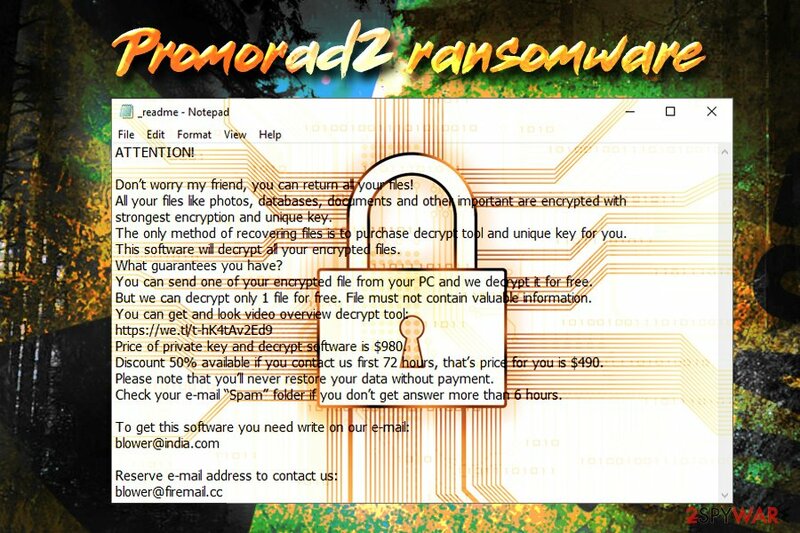 Promorad2 ransomware is most likely using a variety of infection methods, including unprotected RDP connection, spam emails, exploits, fake updates, etc. However, users reported that they find their computer infected after downloading cracked or repacked software from torrent or similar file-sharing websites. As soon as Promorad2 virus is injected, it focuses on documents, pictures, videos, music, databases, spreadsheets, and other most commonly used files. After completing the scan, malware modifies each of the files by appending .promorad2 file extension, so that a picture.jpg is turned into picture.jpg.promorad2. From that point, users' access to all personal data on the device is restricted. Don’t worry my friend, you can return all your files! All your files like photos, databases, documents and other important are encrypted with strongest encryption and unique key. While hackers offer free test decryption and a 50% discount, you should not pay the ransom and never contact them. 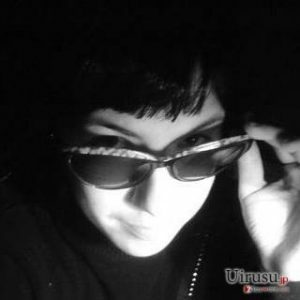 First of all, there is a high chance to decrypt files for free with the tool created by security experts. If that is not successful, you can also use third-party tools to recover your data. But first, you have to take care of Promorad2 ransomware removal. To remove Promorad2 ransomware, you should employ reputable security software that can detect the threat, such as Reimage or Malwarebytes MalwarebytesCombo Cleaner. 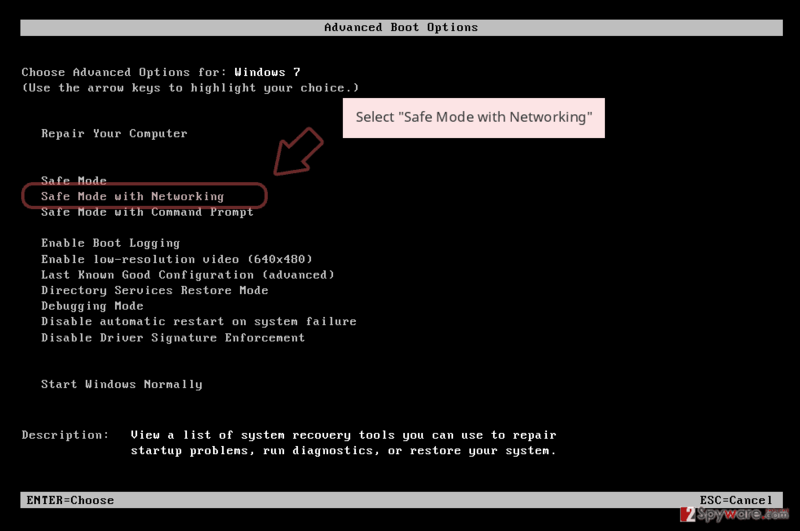 In some cases, however, you might have to enter Safe Mode with Networking for that, as malware might interfere with the operation of the antivirus program. Ransomware is often distributed via third-party websites that host repacked or cracked installers. Do not forget that downloading pirated software is illegal, and might result in hefty fines. Additionally, such domains often host malware that is disguised as one of the illegal applications. Therefore, the best would be staying away from such sites altogether. Nevertheless, if you are still willing to risk it, we highly advise you scan every executable you download from file sharing sites with tools like Virus Total or reputable security software. The same goes for seemingly legitimate files or hyperlinks inside suspicious emails. Finally, it is also very important to keep your operating system and installed applications updated with the newest security patches, as software vulnerabilities might allow bad actors to abuse exploit kits to inject malware without user interaction. Another great solution is keeping backups for all your personal files. This will make the recovery procedure after the infection a much easier process, and you will also avoid losing your data permanently or paying ransom to cybercrooks. 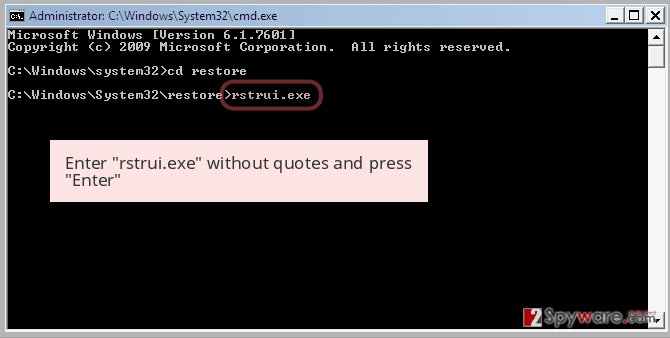 As we already mentioned, Promorad2 virus is simultaneously distributed with AZORult data stealer. Therefore, if you noticed your files locked, you need to use a powerful security tool to terminate both threats. However, be aware that the functionality of malware might prevent Promorad2 ransomware removal. 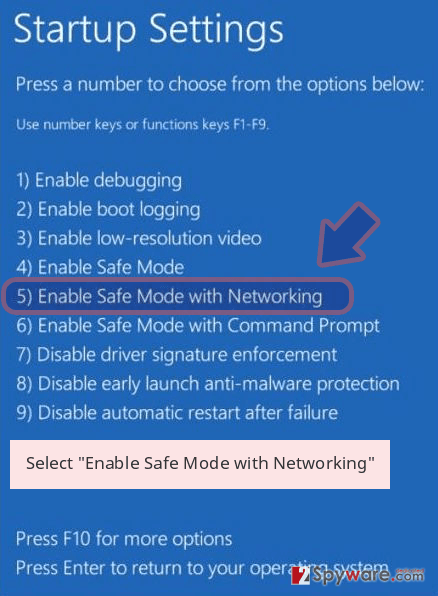 In such a case, enter Safe Mode with Networking as explained below and perform the procedure from there. Once you remove Promorad2 ransomware, along with any secondary payloads that it might have implemented, you can then start a recovery procedure. You should firstly download decryptor developed by security experts and try it. If that does not work, make use of third-party applications, although this recovery method will rarely work to retrieve all your data. Finally, due to the secondary payload, we recommend you change all your passwords and enable two-factor authentication on all your accounts (banking, social networks, communication programs, etc.). Additionally, you might want to check your banking history in case some illegal transactions were processed due to an information leak. Log in to your infected account and start the browser. Download Reimage or other legitimate anti-spyware program. Update it before a full system scan and remove malicious files that belong to your ransomware and complete Promorad2 removal. 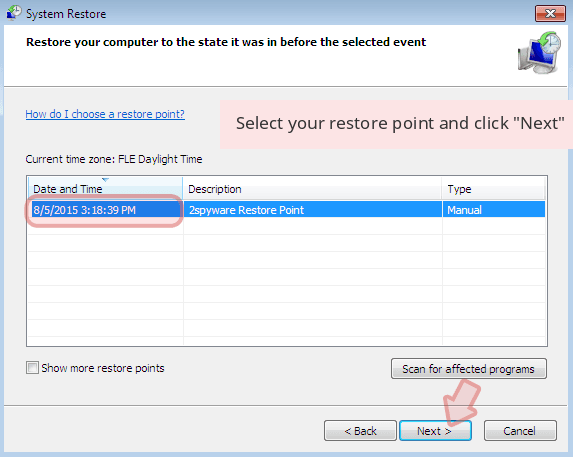 When a new window shows up, click Next and select your restore point that is prior the infiltration of Promorad2. After doing that, click Next. 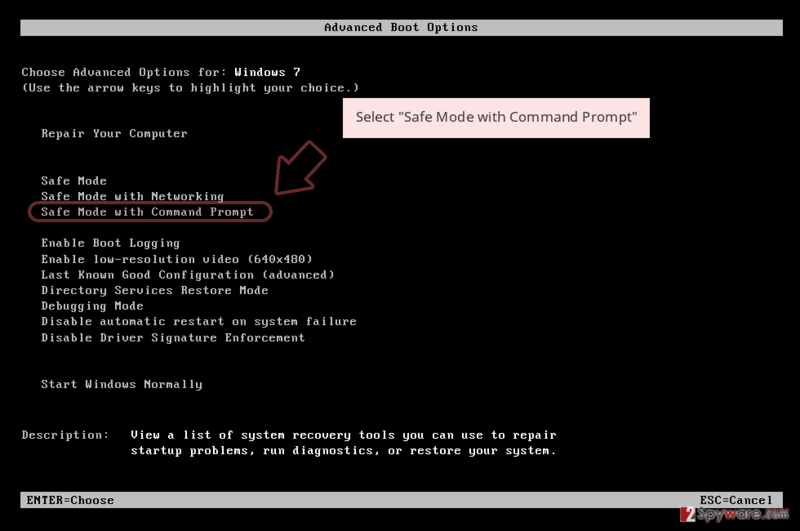 Once you restore your system to a previous date, download and scan your computer with Reimage and make sure that Promorad2 removal is performed successfully. 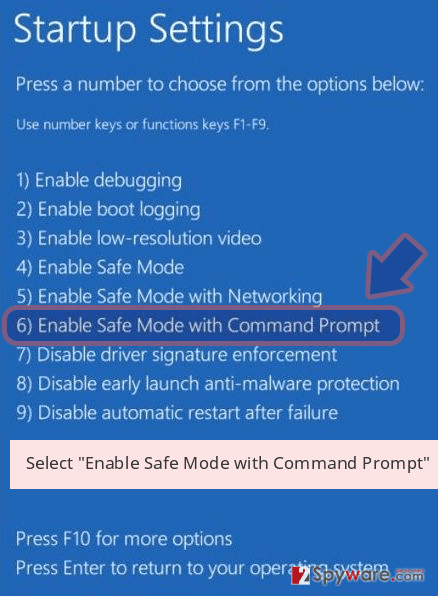 Guide which is presented above is supposed to help you remove Promorad2 from your computer. To recover your encrypted files, we recommend using a detailed guide prepared by 2-spyware.com security experts. This version of STOP/Djvu is already decryptable, so there is no need to contact cybercriminals. You should try using third-party tools or the decryptor developed by security researchers instead. While data retrieval is not guaranteed, this tool might be able to restore at least some of your files. 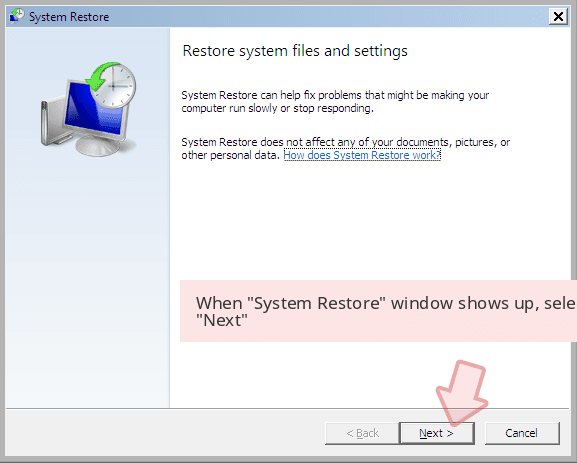 Windows Previous Versions Feature will only work if you had System Restore enabled before ransomware locked your files. All ransomware viruses are programmed to remove Shadow Volume Copies. If the process fails, however, tools like ShadowExplorer will be able to restore your data. Security researcher Michael Gillespie continually updates the STOP decryptor that he developed. Download the tool and try to recover all your files. ^ Julie Splinters. STOP ransomware variant now incorporates password stealer Azorult. 2-spyware. Cybersecurity news and articles. ^ Cracked software versions are harboring Djvu Ransomware in the form of .TRO files. Cyware. Real Time Cyber Security Products and Alerts. ^ 5c258f35e2b9b6997464631e1178841d090a47f3b43d1f6f54621128d352d2f3. Virus Total. URL and file analyzer. This entry was posted on 2019-04-04 at 04:20 and is filed under Ransomware, Viruses. You can quickly scan the QR code with your mobile device and have Promorad2 ransomware manual removal instructions right in your pocket. How did you remove Promorad2 virus?